You’ve heard the term smart home or home automation, and perhaps you’ve seen a demonstration or commercial for a smart home automation system. Yes, smart home automation is transformational. It can change the whole feel of your home or office. You still have questions, though, and this article will aim to give you a foundation of smart home automation knowledge. 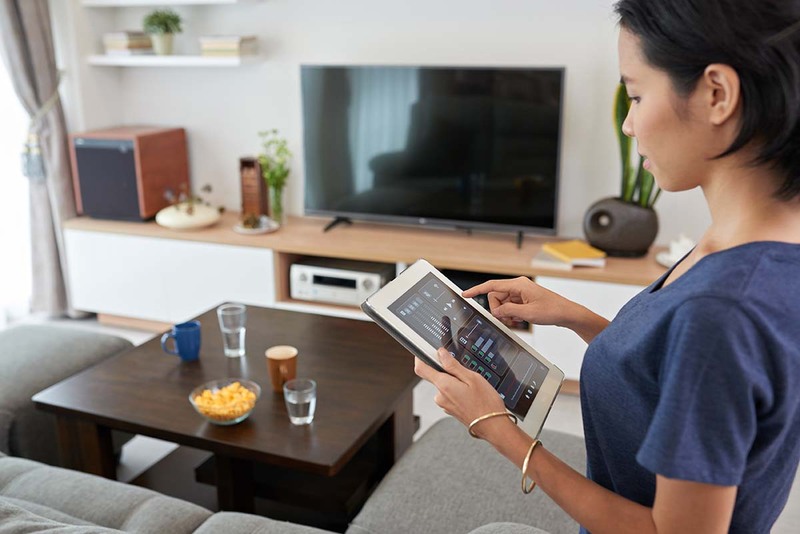 In smart home automation, the same wireless networks that are used for your internet connection can be used to seamlessly connect smart appliances and devices to allow for complete control of your home from the palm of your hand. Smart home automation consists of smart devices and appliances and a hub of some sort from which to control the devices. One example are smart speakers. Many people enjoy using Alexa and Google Assistant to control smart devices. Another option for controlling smart devices is in the form of a smart hub. In the case of a smart hub, you can have an app on your phone or tablet where you can control all of your smart devices. Through smart home automation, you can control and customize lighting, audio, security sensors, climate control, video cameras, and more from home or a thousand miles away. Why is Smart Home Automation so Popular? Well, smart home automation is pretty easy to achieve in today’s time. Smart devices and appliances are widely available, and thanks to wireless internet, it’s easier than ever to automate a home. Not only is it easy to achieve, but it’s also cost-effective. Smart products are a great investment when you consider the potential savings in energy. If you’re security-oriented, then you can see why people enjoy smart home automation for their doorbells, video cameras, and security sensors. Many people choose smart home automation simply because it’s so convenient and fun to customize their home and come home to their favorite atmosphere. Getting started with smart home automation is very simple. First, you need to decide what your goals are. What are you hoping to achieve with smart home automation? Are you looking for more ease? Are you hoping it feels lighter and easier to spend time at home? Are you looking to impress your friends? Decide on your goal first and foremost. Second, decide on your budget. Custom smart home installations can run anywhere from $50,000-$500,000. And sometimes even higher depending on your equiptment. Then, decide where to begin. Many of our clients begin with a media room. We build out a stunning and fully integrated media room, and we lay the foundation for automating the rest of the home. Other clients begin with something simple like lighting. Automating your lighting is a good place to get started if you're still a little tech-phobic because systems like Savant make it incredibly easy. You will quickly see how easy it is and how comfortable it is, and then with that comfort in mind, you can move ahead with automating the rest of your home.